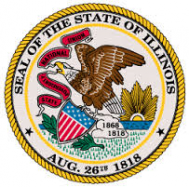 The Illinois Food Handling Regulation Enforcement Act (410 ILCS 625), amended by SB1495, passed into law on August 27, 2013, changes the existing training and certification requirements for food handlers. Effective July 1, 2014, all food handlers in Illinois are required to complete a basic food safety training program. Food handlers must renew their certification every three years. 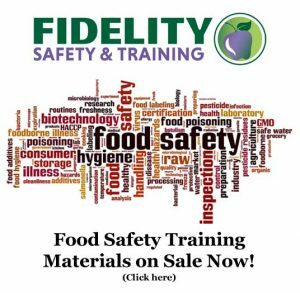 Do not buy the Food Handler Card Training Course if you hold a valid Food Protection Manager Certification pursuant to current food safety law. This online program is ANSI/ASTM accredited, adheres to current Illinois law and is available in English or Spanish. Click here to obtain your accredited IL food handler certification > >. After July 1, 2018, health inspectors will require proof of ANSI-accredited allergen training during routine health inspections. This training is required in addition to the current Food Safety Manager Certification. The training is available in English, Spanish, and Simple Chinese and the ANSI-accredited certificates are transferable between employers. The law does not require employers to pay for the training. Click here to obtain your IL accredited food allergen awareness certification > >. Click here for more information from the IL Department of Public Health > >.